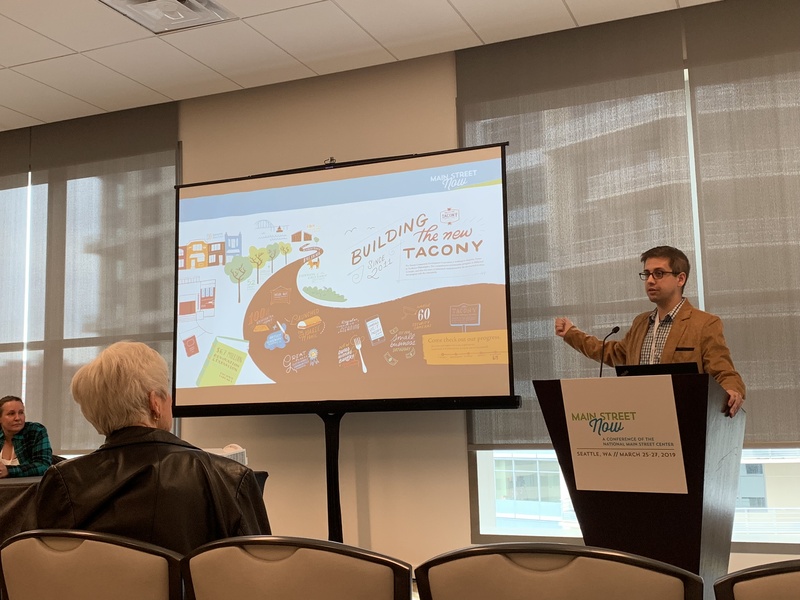 The Tacony CDC has promoted, supported, and participated in the planning process of several initiatives that positively impact the neighborhood. These projects, and others sure to follow, continue to improve the economic vitality, environmental health, and quality of life in Tacony. The Tacony LAB is a joint project of the Free Library of Philadelphia and the Mural Arts Program. 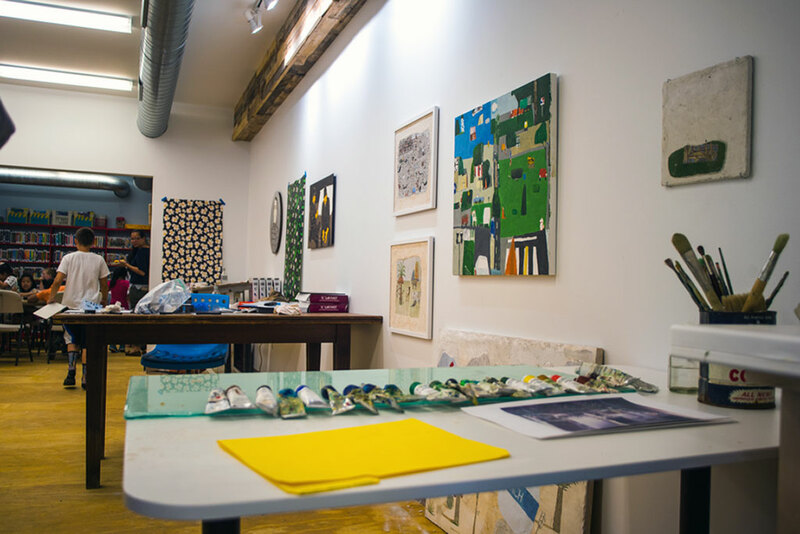 Made possible by Councilman Bobby Henon’s support and fundraising efforts, the LAB serves as studio space for two artists in residence. The Tacony CDC provided support for the renovation of the double storefront’s renovation. Improvements made to the building include a new awning, large picture windows, and attractive security grates. We are also partnering with the Tacony branch’s staff to establish a business resource center in the newly renovated location -- stay tuned for more details! Stay up to date on events, programs, and opportunities for collaborating with the artists in residence by liking their facebook page: Facebook.com/taconyLAB. The Tacony LAB is a partnership between the Office of Councilman Bobby Henon, and the City of Philadelphia Mural Arts Program, with additional support from the Tacony CDC. The above article has been adapted by materials provided by the Mural Arts Program. The 21st Century Library Initiative from the Free Library of Philadelphia fully renovated and expanded the historic Tacony Branch. This $6.7 million renovation made the building fully ADA-Compliant, expanded patron services, welcomed the Tacony CDC office, and brought new innovative small business programming. This community anchor on Torresdale Ave in Tacony offers a renewed community hub and home for special events and programs. The Tacony branch renovations were led by the Free Library of Philadelphia, with support from the Free Library of Philadelphia Foundation and its donors. Tacony CDC, along with the Civic Association, has advocated for the proposed Tacony campus of the MaST Charter School. The project will convert a brownfield into a 19-acre, K-12 academic campus. It is part of a larger effort to redevelop the Disston Saw Works compound into a mixed-use compound that provides jobs, amenities, and greatly enhanced waterfront access to Tacony and its environs. The MaST II campus will feature two academic buildings and a large sports complex that highlight the site’s industrial history (which will also be featured in the school’s curricula). Plans currently call for phased construction, with a fully operational school in place by 2023. Tacony CDC and its board members supported efforts to redevelop the Lardner’s Point Park site from the very beginning. Once an abandoned brownfield site, Lardner’s Point Park is now a “living shoreline" and wonderful passive recreation site along the Delaware Access. 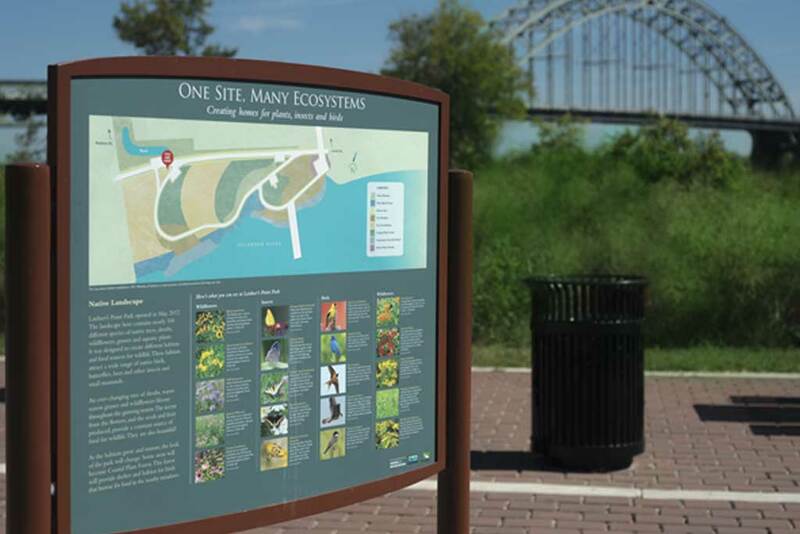 The park provides much-needed access to the waterfront, has restored fragile habitats for multiples types of wildlife, and will serve as a trailhead for the in-process Kensington & Tacony trail. The K&T Trail, when completed, will join dozens of other trail segments along the Delaware River to form Philadelphia’s portion of the East Coast Greenway. The redevelopment of Lardner’s Point Park was led by the Pennsylvania Environmental Council and the Delaware River City Corporation, along with the Pennsylvania Department of Conservation, the City of Philadelphia’s Department of Parks & Recreation, and the Fairmount Park Conservancy, among others. Tacony CDC participated in the planning process for Philadelphia2035’s North Delaware Comprehensive Plan. One of the plan’s Focus Areas is the former Disston Saw Works compound, much of which is now contaminated and/or vacant. One of the major interventions proposed is the extension of Magee Avenue across State Road to the waterfront. This would increase connectivity between the neighborhood, the proposed developments at the Disston site, and the River’s trail system. The so-called Magee Extension will also involve the beautification of portions of Magee Avenue as well as the introduction of storm-water maintenance systems. The North Delaware District Plan process was led by the Philadelphia City Planning Commission (PCPC).